There is a thrill about hunting that captures the interest of many people. While hunting per se is a primitive form of economic activity many people consider it fun to engage and feel life in the wilderness. It is apparent that hunting will involve ultimately killing small creatures. Needless to say, hunting is not for everyone, regardless of the tools or gears used. The only legitimate justification for hunting is when it is being done to gather food. The hunters of old were never driven by fun as a motivation. People hunted because they need to survive and the animals that they kill are directly used for food or clothing. In modern times, as civilization takes advantage of ways to cultivate and produce food using technology, hunting is relegated to a special activity. It is special because in some jurisdictions you need to secure a permit or a clearance to be able to hunt. Despite of the high people get in slingshot hunting, people should remember the cardinal rule in hunting. Hunting, as much as possible, should only be resorted to for food and survival. This is one of the most important hunting rules that seem to have been forgotten. This is also not something you will hear regarding hunting with slingshot direct from old hunters. One does not really have to be an environmentalist to be responsible. But if this cardinal rule is observed, where can you use the slingshot? What are places that can serve as your hunting site? Surely there is no way you can target the sparrows and the larks that fly around, unless it is your intention to eat them. Naturally, they are out from your list. 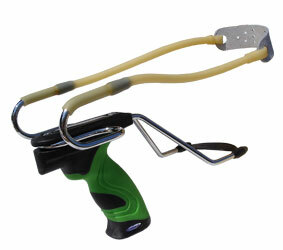 If you love fishing, however, the slingshot can be an expedient and challenging fishing gear. Using a slingshot to fish is justified because the object of fishing is food.